Samsung fridges are designed to keep your food fresher for longer. When you have a Samsung fridge in your kitchen, you’ll always have cool drinks and a hygienic place to store your groceries. If you like to cook meals at home, it’s important to have a well-stocked fridge as you can never tell what you’ll be in the mood for from one day to the next. 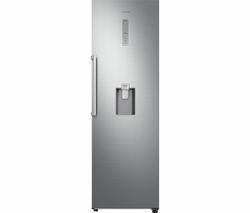 Samsung fridges are available in a host of sizes and styles to suit all kitchens including classic white, refined steel and a classy graphite and due to their upright design, they’re perfect if you don’t want a fridge that will take up too much floor space. 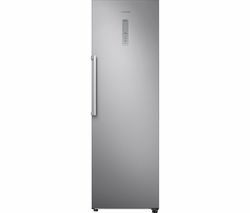 You can store anything from soft drinks to deli meats, and because Samsung fridges make use of the latest technology, they are engineered to use less energy to cool your food and are better for the environment. If you can’t find a Samsung fridge you like in our collection, take a look at our complete range of affordable Hotpoint fridges and if you’re looking for a state-of-the-art fridge that will look great in your stylish kitchen check out our collection of Smeg fridges. When you’ve been food shopping, you need a place to store all your fresh food, and a Samsung fridge is ideal.